Unhealthy oil mist is produced when injectors are tested. With this separator, the oil mist is extracted from the plastic container and condensed in the filter. 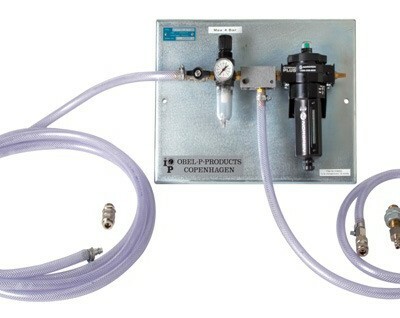 The oil mist separator improves the working environment as well as the visual inspection of the fuel injector spray inside the transparent plastic container. The oil mist separator is equipped with a filter for periodically replacement to ensure continuously high filtration effect.